In this guide you will learn everything you need to know on how to set billing rates. MinuteDock is flexible to fit your company’s needs, you can set hourly rates based on Contacts, Projects, Tasks and Users. You can choose to have a specific rate for each of your Contacts. This rate will override any default user rates, meaning you can customise the rate that you are billing on a per client basis. Under the Contacts tab, find or add the Contact you want to set the rate for. Check the ‘Billable’ option. (Note: If you don’t select a Contact as billable it will not automatically be available to invoice). Choose from the drop down to select ‘Specify a Contact rate’, then enter rate per hour. Alternatively you can select ‘Use User’s default rate’ and MinuteDock will use the rate configured in the User’s settings. 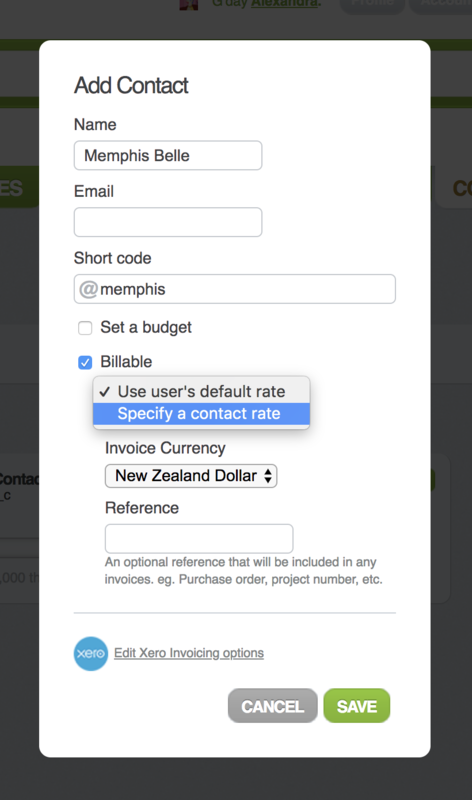 Finally, select which currency you want to bill your Contact. You can also customise the billing rates on a per Project basis. This allows you to handle situations where you are billing clients at different rates per job. Under the Projects tab find or add the Project you want to set the rate for. Check the ‘Billable’ option. (Note: If you don’t select a Project as billable it will not automatically be available to invoice). Choose from the drop down to select ‘Specify a Project rate’, then enter rate per hour. Alternatively you can select ‘use Contact’s default rate’ and MinuteDock will use the billing settings already configured for the contact. You can set each task its own rate. Task rates override contact, user and project rates. If you want to bill Contacts at different rates for the same Task you may want to create separate Tasks. Click the main Projects tab and click on the Tasks sub tab. Find or add the Task you want to set the rate for. Check the ‘Billable’ option. (Note: If you don’t select a Task as billable it will not automatically be available to invoice). Choose from the drop down to select ‘Specify a Task rate’, then enter rate per hour. Alternatively you can select ‘use Project or Contact’s default rate’ and MinuteDock will use the billing settings already configured for the Project/Contact that the time entry is assigned to. 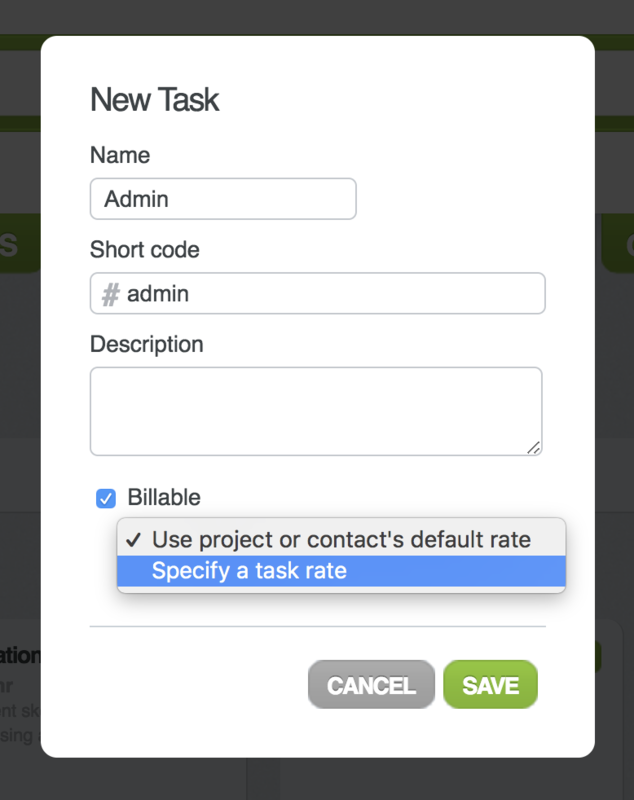 Task rates will override Project or Contact rates that a time entry is assigned to. Click on ‘Manage’ next to the User’s name to edit their settings. In the hourly rate section, click “Manually set”. Set the rate for the User. 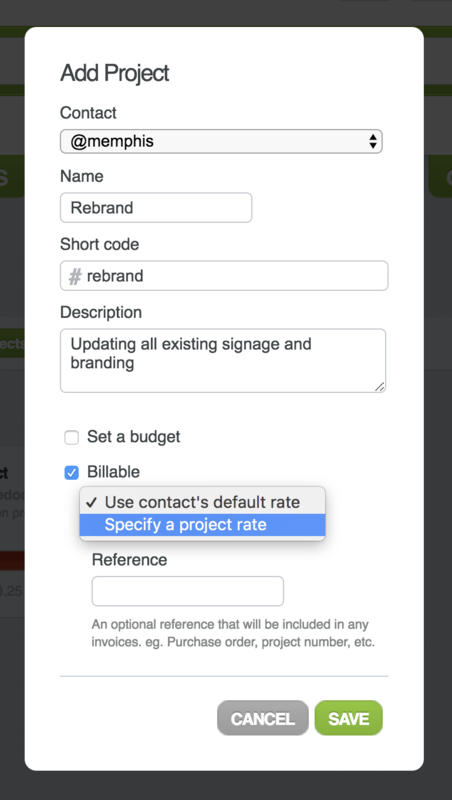 This will be the default rate, but can be overridden by hourly rates set on a Contact, Project or Task. If you want to set a User specific rate for a Client, Project or Task, you can do this when configuring the billing options for the Client, Project or Task. Click on ‘Set a User’s rate’. Select your User from the drop down menu. Enter the hourly rate for the User. You can continue to add as many User rates as you need. If you set a User rate to override your Project, Task or Contact rate the system will recognise this and apply that rate instead.